I was going through some pics on my phone and dug up these. Taken a couple of years ago in Arizona. I had taken my little girl to the rifle range. 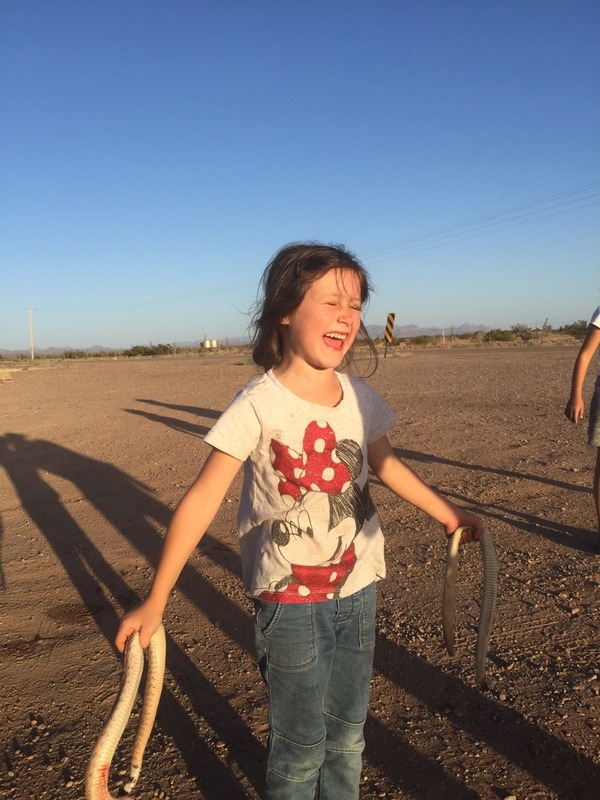 A couple of good ole boys killed a rattle snake so we reteieved it. Then about 5 mins later these boys came back with a second one. My daughter exclaimed "this is the best day ever!" I showed her how to skin them and I still have the skins set aside for something special. 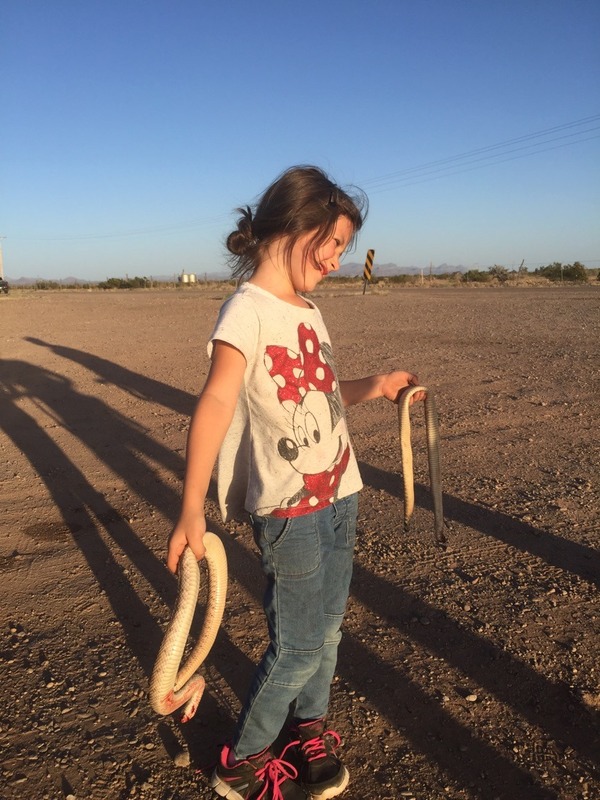 Never in my life had I ever imagined the excitement a little girl could have over dismembered rattle snakes. ETA: that look on her face is pure excitement, even though it comes across looking like she's grossed out. How do we do an informal long distance primative Skype betrothal? I'm guessing smudge sticks and an exchange of feathers via Fedex? She looks like a sweet heart dieselcheese. I wish more kids could be introduced to proper ways to harvest and process animals. It can be done in a respectful way and brings us closer to nature and a understanding of where our food came from. It's a valuable lesson that many don't know. Great pics of a very aware little lady! Hope she continues to expand her experiences and knowledge of the food chain! Thats awesome! I think the best way to pass it on is to get their hands dirty. I dug up another pic from about the same time frame as the snakes. I was in my mom's yard and a pigeon pooped all doen my back. So I grabbed a pellet gun and shot it. 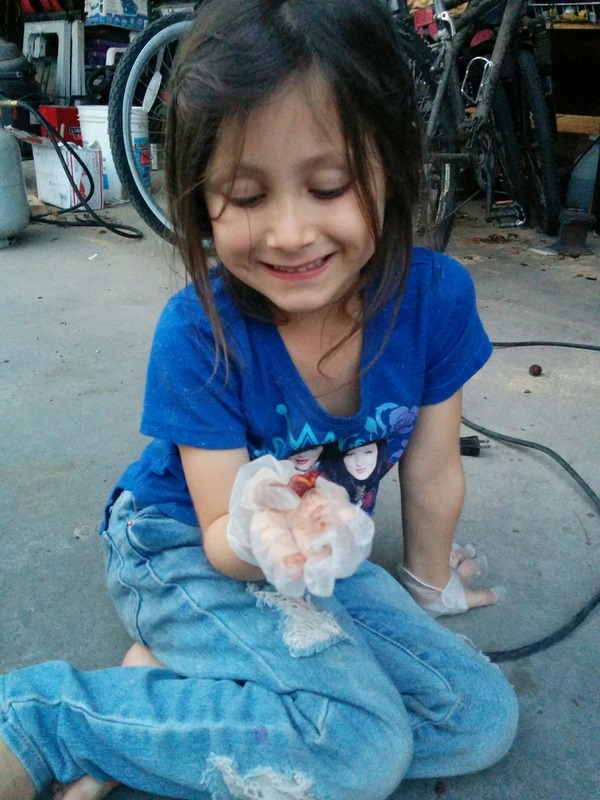 Well my adventurous little girl wanted to disect it before i fed it to the cat. Here she is with its little heart on the cusp of learning how the chambers and valves of the heart function. Grandma made her wear gloves...rats with wings philosophy. I think it's funny how different were all wired. Your little girl is like me. None of that getting my hands dirty and opening up a critter ever bothered me. Always loved dissecting the critters in science class. I always found it interesting. He's gotten better, but my brother would pass out at the sight of blood. Sometimes I think I should have been a surgeon. Or maybe a mortician.lol. Anyway it warms my heart to she your little girls curiosity. My 7yo grandson helped his gramma skin a bob cat couple of weeks ago. He made some faces but stuck with it. asked lots of questions. Great pics. I have an 8yr old grandaughter that lives with us ( Skyler) and she is the same way. We live in the country and she has a hard time wearing shoes outside. Its just her nature I guess.I've told her a time or two to put her shoes on or she's gonna hurt herself and she tells me " I'm a country girl papa, I'm tough". She has watched me skin snakes, deer, squirrels etc... and is always right there when I do it. She thinks its cool.